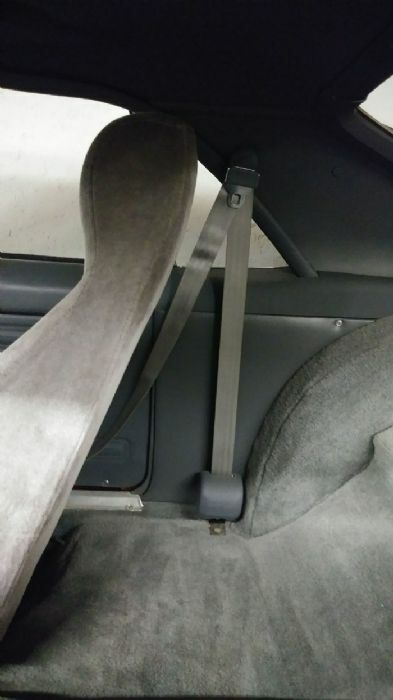 Looking to access seat belts for 69 AMX .The shoulder strap is connected. I would like to get the lap belts that will accept the shoulder strap. Thanks for any help. I lost mine in the resto. Moderators should move this to the Wanted section. I have some. What color do you need? 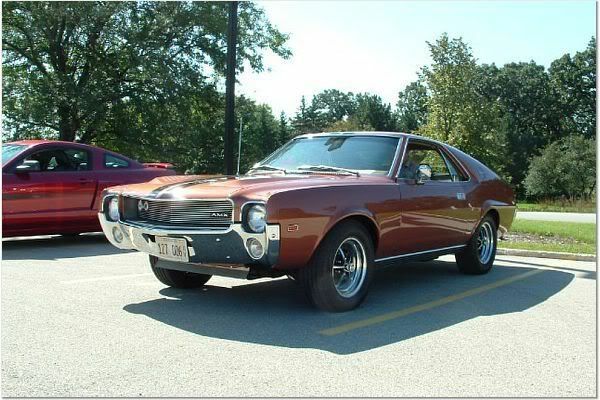 Rusty, I've used an aftermarket recoiling seat belt assembly from Juliano's on a 1968 AMX and a 1970 AMX. It's amazing how much better you feel with a real seatbelt. You would have to drill one mounting hole in the floor on each side though to mount the recoil unit. I might have a set of 69 lap belts in tan. I'd have to look. 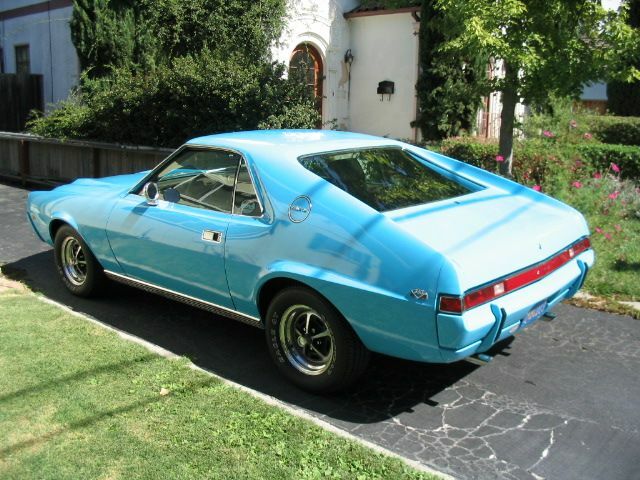 On the 68 AMX the sail panel hole is close to the quarter window, where on the 70 AMX it's a little farther back. I got a good deal on some 70 sail panels so I stuck plugs in the 70 hole location - you can see them in the pic. Anyway, the recoiler mounts on the rear floor area just in front of the wheelwell, and that's where you need to drill the hole. Now that I think about it I can't remember if I used the stock holes in the trans tunnel to mount the other part of the belt. They come with a stiff plastic piece you can use to make them stand up or you can leave that out so they are floppy like the stock ones.